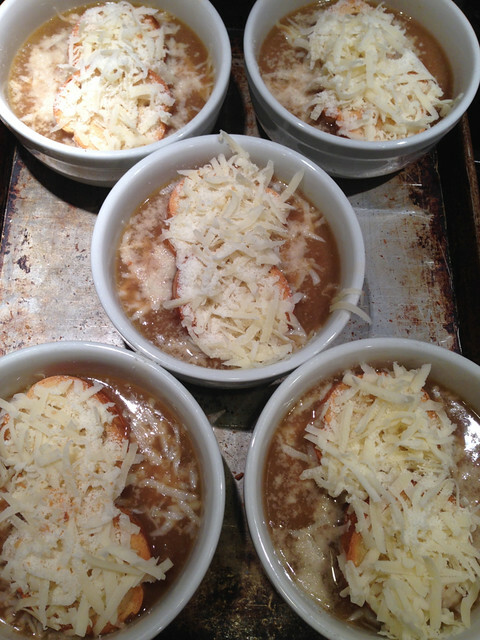 French onion soup is definitely the perfect solution for being holed up on a snowy weekend. 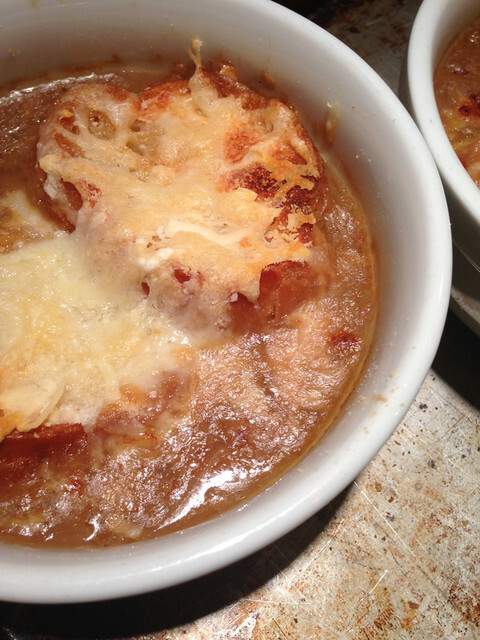 This soup is so easy to make and tastes so good when you use good ingredients. I followed Deb’s recipe on smittenkitchen.com, which is pretty much similar to other recipes but with a few extra details like most of her recipes. 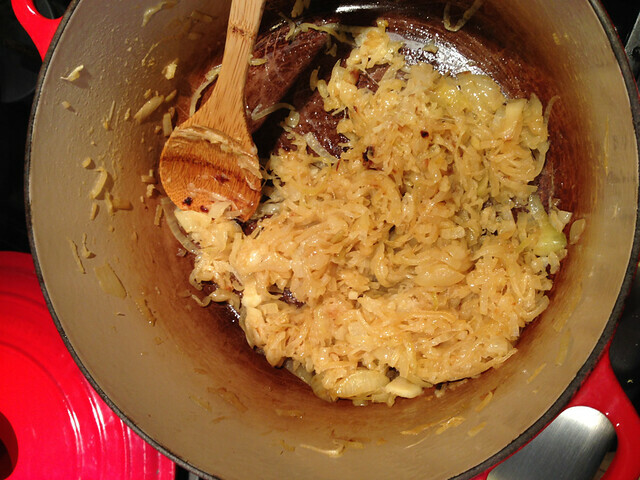 Caramelizing the onions for a long time and using Gruyere cheese produces a first rate product. 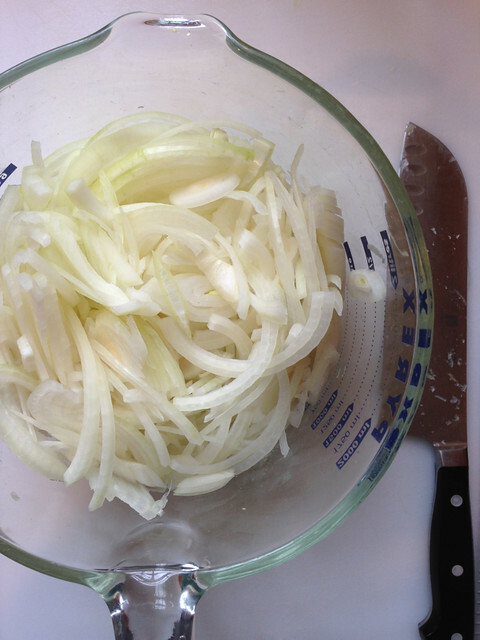 five cups of onions. about 2 1/2 of the big ones. 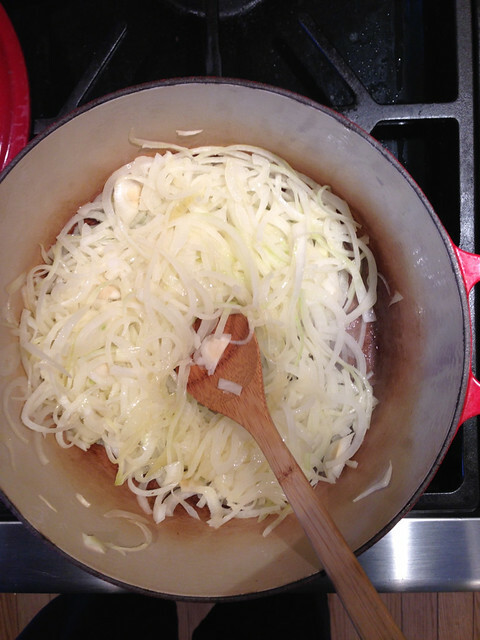 the onions after 1 hour just before adding the liquid. I probably could have done them a little longer to get them just a bit darker but they were getting very sticky and I didn’t want to burn them. 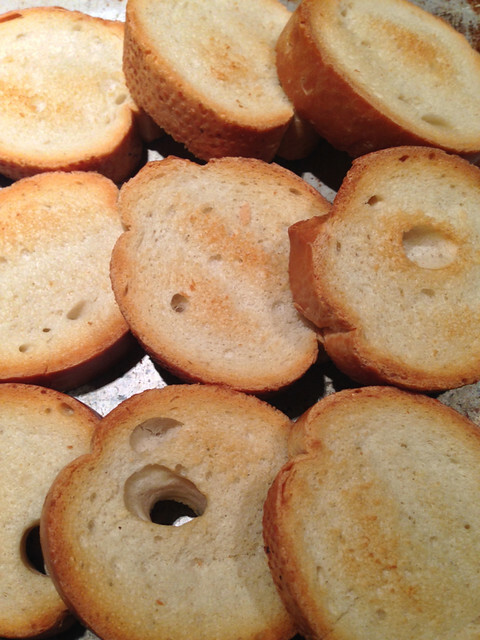 I toasted the bread in a 400 degree oven, turning them every five minutes until they were very hard. 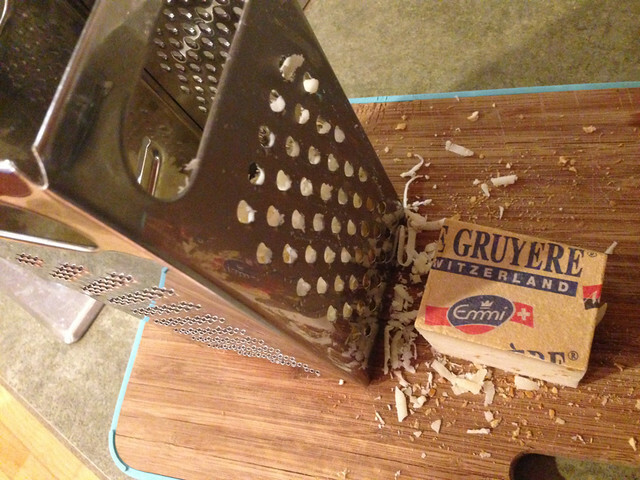 Don’t use un-toasted bread or it will turn to mush. ridiculously expensive… but so worth it. 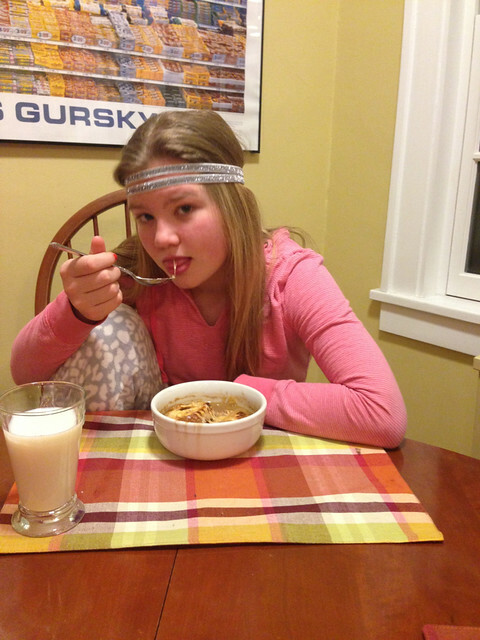 Olivia Newton John enjoying her soup. I pretty much followed the recipe below except I didn’t add the raw onion and the cognac at the end. It turned out perfectly. * Porcini or mushroom stock are a robust vegetarian substitution.